Why do moths eat clothes? Some moths eat clothes because that is their food. Actually, it is not the adult moth that does the damage. The eaters are the caterpillar stage of the moth. They especially like wool and fur. 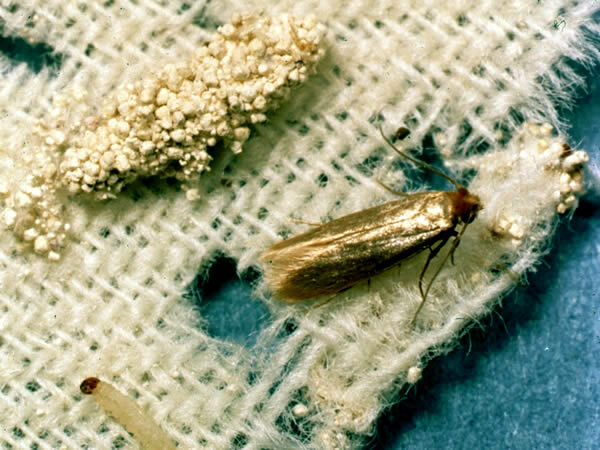 The female moth lays her soft, white eggs on clothing and carpets. 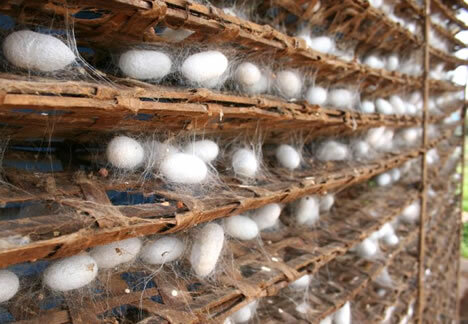 How does a silkworm make its silk? The silkworm is really the caterpillar of the silk moth. It spins a cocoon of silk just as other moth caterpillars do, but its silk is especially fine. 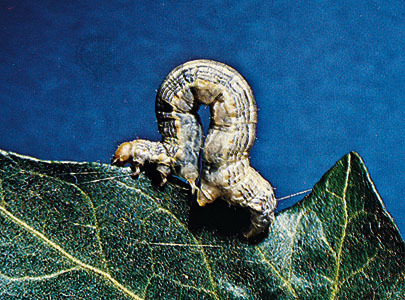 The silkworm makes its silk by oozing a long thread of gluey liquid out of its mouth. As soon as the liquid touches the air, it hardens into a silk thread. Then the silkworm spins the silk thread around and around its body to form a cocoon. What is a measuring worm? A measuring worm is the caterpillar of a cankerworm moth. It is called a measuring worm because it seems to be measuring the distance it moves by looping its body with each step it takes. The measuring worm is a green or brown insect that crawls by looping its whole body every time it takes a step. It is called a measuring worm because it seems to be measuring the distance it moves with each step. Of course, the measuring worm isn’t really a worm. It is the caterpillar or a delicate, butterfly-like moth. It grows to be less than an inch long. The measuring worm has two pairs of feet less than the caterpillars of other moths. As a result, it creeps along by stretching its body forward as far as it can. Then it brings its back feet go to touch its front feet, making a loop, and then stretches out again. 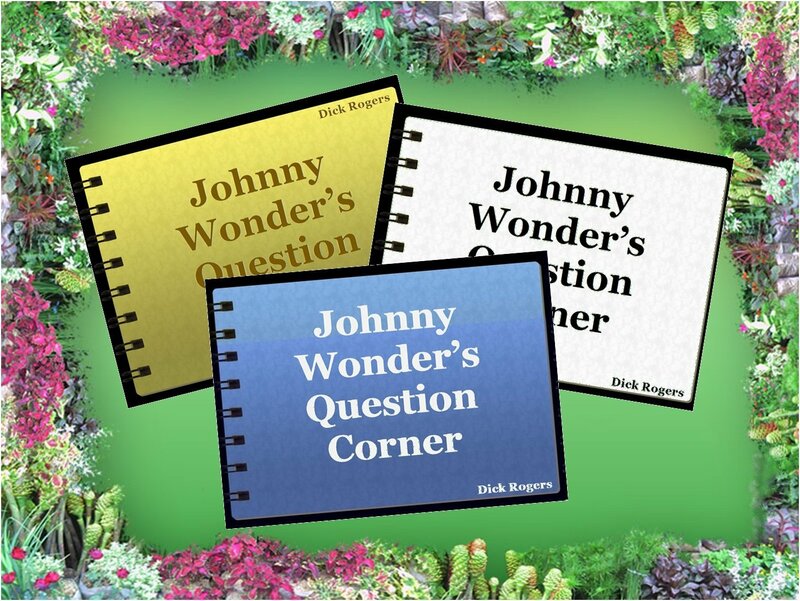 Other popular names for the measuring worm are inchworm, spanworm and looper. The measuring worm is a menace because it damages many trees by eating their spring leaves. Many birds eat measuring worms and thus help destroy this pest. Many insects die when winter approaches. But some live through the cold by hibernating. Have you noticed that insects seems to disappears in the fall? 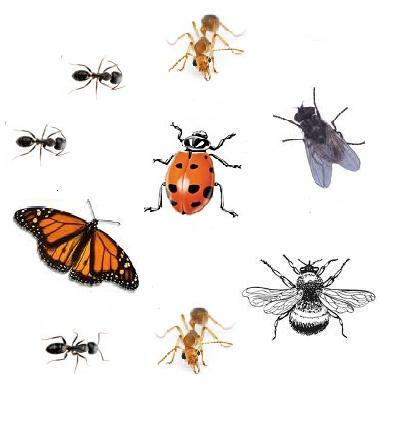 Where do the butterflies and bees go during the winter? Cold weather sends the ant scurrying into its underground home. The cricket sleeps all winter in a little crack in the ground. We say it hibernates. Some other insects hibernate, too. The moth caterpillar spends the winter wrapped, snuggly in its cocoon. By spring, it has changed into a moth, which breaks out of the cocoon and flies away. In the fall, the orange and black monarch butterfly flies south to warmer country. It migrates. Bumblebees die at the end of summer and only the queen bumblebee lives through the winter to start in new colony in the spring. Honeybees are luckier. They huddle together for warmth in their beehive and eat the honey they collected during the summer. Every butterfly goes through four stages in its life. These four stages are eggs, larva, pupa and adult. The story of the butterfly begins when the female lays her eggs on a plant that the young insects will use as food. From each eggs hatches a tiny larva called a caterpillar. It is hard to believe that this wormlike creature will turn into a graceful butterfly. The caterpillar is always hungry, and spends most of its life eating and growing. It grows to fast that it outgrows and sheds its skin several times. When the caterpillar has reached its full growth, it is ready to turn into a pupa. The caterpillar spins a button of silk on a twig or leaf and hooks itself to the button. Hanging head down, it sheds its old caterpillar skin. Not it is a pupa. The pupa’s soft skin hardens to form a case called a chrysalis. 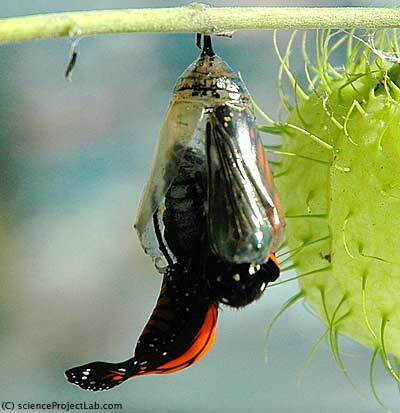 Protected by the chrysalis, the pupa changes into a butterfly. After about two or more weeks, the chrysalis spills open and the adult butterfly emerges its limp, moist wings spread and dry. Then it flies away.